Response: After a Warrior character is destroyed while defending against an enemy attack, deal damage to the attacking enemy equal to that character's printed . 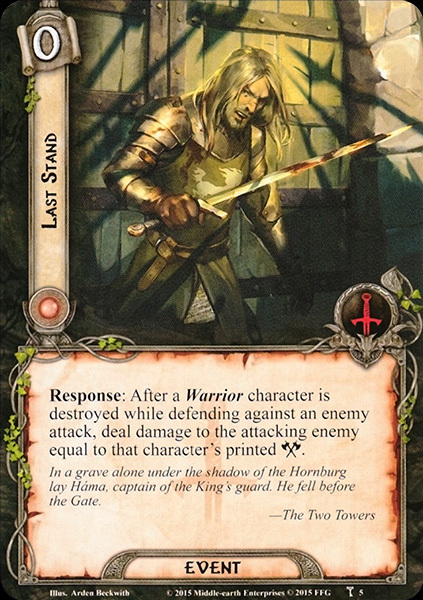 In a grave along under the shadow of the Hornburg lay Háma, captain of the King's guard. He fell before the Gate.